This semester, the organization that was known to the student body as the Student Organization Funding Committee (SOFC) decided to rebrand itself in an attempt to better serve the Wellesley community. This student-led governing body, which is in charge of distributing college funding to various organizations (orgs) on campus, is now called the College Government (CG) Treasury. As part of this rebranding, the CG Treasury is also working on creating a new website, which will include video tutorials showing club treasurers how to execute basic duties related to managing club finances. The process of obtaining and managing college funding for clubs is a difficult one, and these videos may go a long way in streamlining this process. Although the CG Treasury has done an admirable job managing extremely complicated finances, there are some issues with Treasury funding that cannot be addressed solely by rebranding. Two of these that should be addressed are the limitations of pro-card use and student reimbursement. Currently, many clubs rely on checks from the CG Treasury to pay outside vendors as well as to reimburse students for org-related expenses. The CG Treasury also offers the use of a pro-card, similar to a credit card, for expenses that cannot be paid for with a check. However, they limit the use of this pro-card so that it “cannot be used for food, travel and hotel” expenses. While this system of payment may work in some cases, there are also instances in which this policy can place an undue burden on students. There are some expenses that are very difficult, if not impossible, to pay for with a check, such as hotel accommodations or travel expenses. According to the CG Treasury’s rules, these are not eligible to be paid for with the pro-card. Therefore, in many cases students have to pay for these expenses out of their own pocket and then wait to be reimbursed with a check from the CG treasury. Food costs for large events can require spending large sums of money, and not all restaurants accept checks. This policy can also be an issue for orgs that have to travel for conferences or competitions because hotel and travel expenses can quickly add up to hundreds or even thousands of dollars for even the most frugal accommodations. Clubs that require resources like this have already applied and been granted funding for these costs, but because of the current regulations, they cannot directly access the funds that have already been approved by the CG Treasury. By limiting the use of the pro-card, students on e-board are often left with no other option than to place these expenses on their personal credit or debit cards and then wait for reimbursement. However, due to recent changes in the reimbursement procedure, sometimes requests for reimbursement fall through the cracks or take weeks to be processed. The CG Treasury should work to standardize the manner in which they process requests for reimbursement in order to ensure that students who incur upfront costs for their org are consistently paid back in a reasonable and uniform timeline. While some Wellesley students can afford to personally take on some of these costs, others do not have the means to cover large costs themselves and wait until they can be reimbursed. We cannot expect students to pay such large sums out of pocket because this places an undue burden on students who do not have the means to do so. 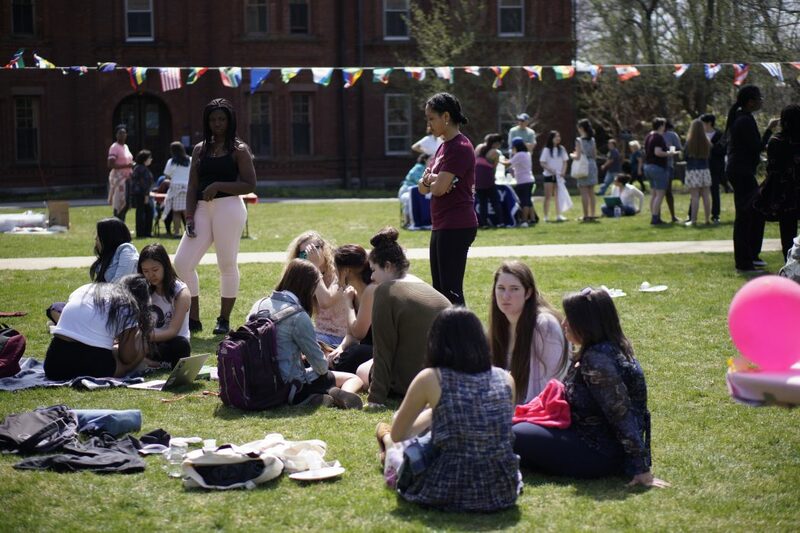 Even with financial aid, attending Wellesley is expensive, and many of our fellow students cannot afford to sacrifice part of their paycheck for org expenses. The CG Treasury should offer clubs another way to pay for hotel, travel or food accommodations that cannot be paid for with a check. Wellesley orgs play an important role in our community, and students who lead these orgs should not be asked to choose between their org and their own financial well-being. The CG Treasury has served the Wellesley community well, but there are some issues that disproportionately affect low-income students that need to be addressed with more than just rebranding. Students should not be expected to incur large hotel, travel and food expenses that cannot be paid for by check or by pro-card. Students who do choose to personally incur some of the upfront costs for their org should also be able to do so while confident that the CG Treasury will repay them within a consistent and reasonable timeframe. We have to ensure that we do not place an undue financial burden on students who are attempting to contribute to our community through their orgs.